A while back I finally got me some sari silk, to use in my jewelry designs. 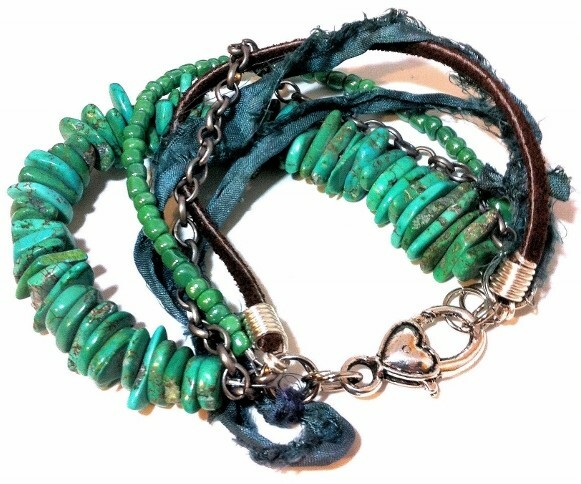 Since the sari silk that I ordered wasn’t quite what I had expected to get, these bracelets have a shabby chic bohemian style to them. Next time I know to make sure I order the sari silk that has the surge edge stitching. 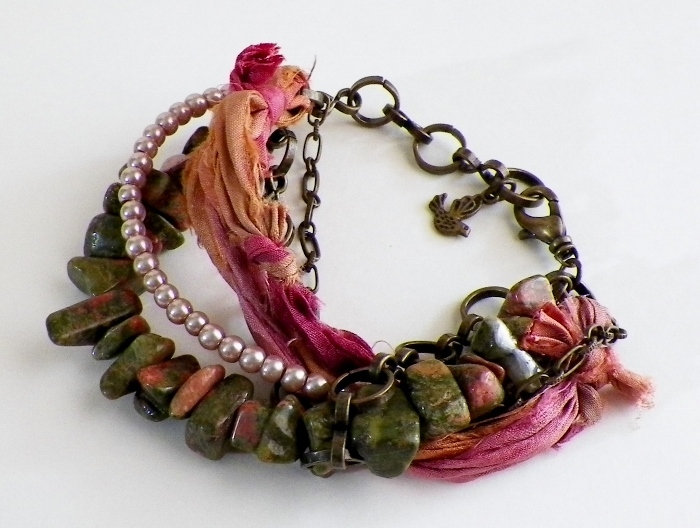 The first bracelet is made using Unakite gemstone nuggets, smoke colored glass pearls, two different antique brass chains, orange and pink shabby sari silk, and one antique mini bird charm. 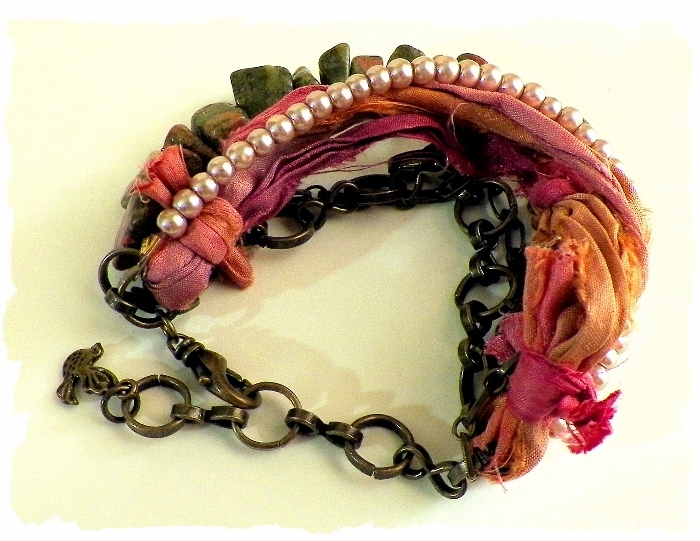 The closure is an antique brass lobster clasp. 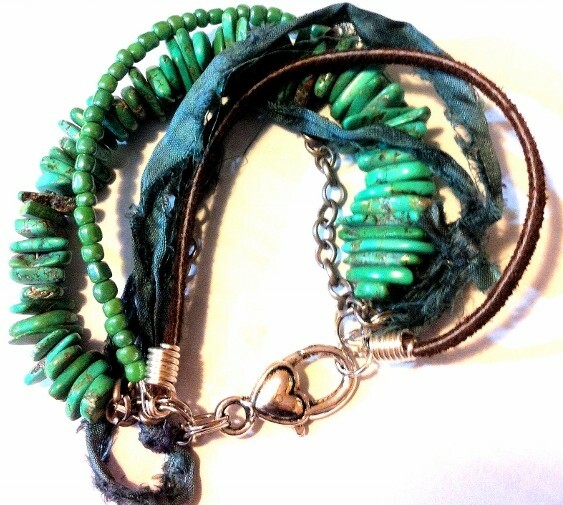 My second bracelet is made using turquoise magnesite gemstones, antique silver chain, green glass seed beads, brown leather cord, and shabby blue/green sari silk. 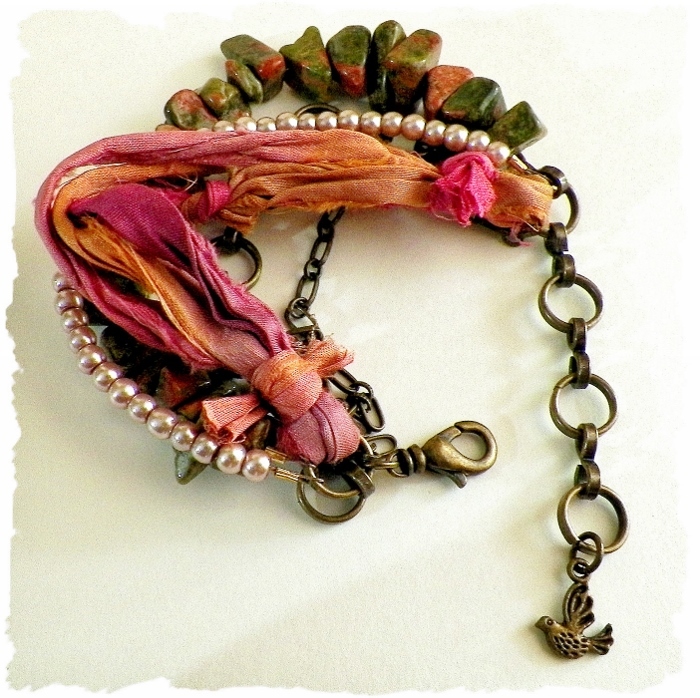 The closure is an antique silver plated heart lobster clasp. At first I was really disappointed in the sari silk that I had ordered. Because it was not what I had thought I was getting. (But for these bracelets, I think it works). 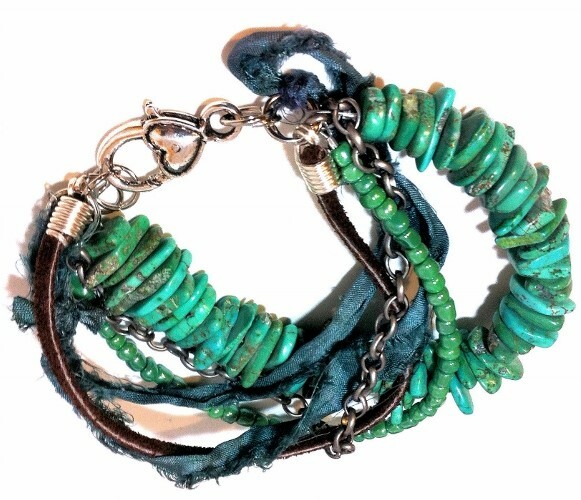 I wanted some to make wrap around charm bracelets, and I don’t think that the shabby sari silk would really look that good as a wrap around. What do you think?